We knew it was coming and now it is official. The announcement didn’t come as expected on August 26, 2010 but that’s not very important. 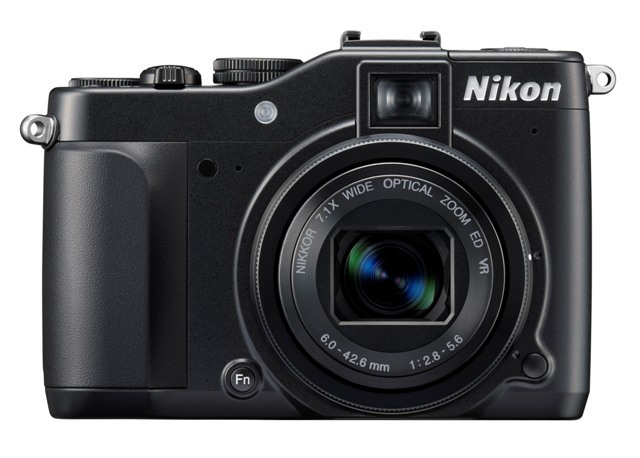 The basic specs about the high end compact point-and-shoot have been known and there isn’t much surprise from the official information. 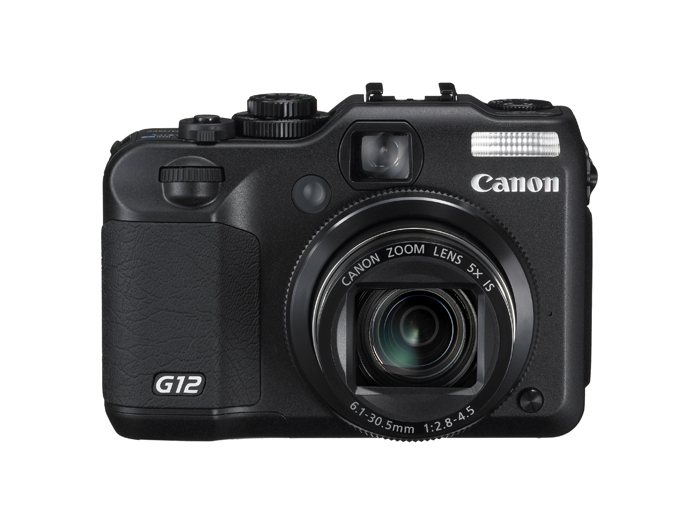 The Canon PowerShot G12 adds 720P HD video shooting to its predecessor the PowerShot G11 but not much else. The recently announced Nikon P7000 a.k.a. 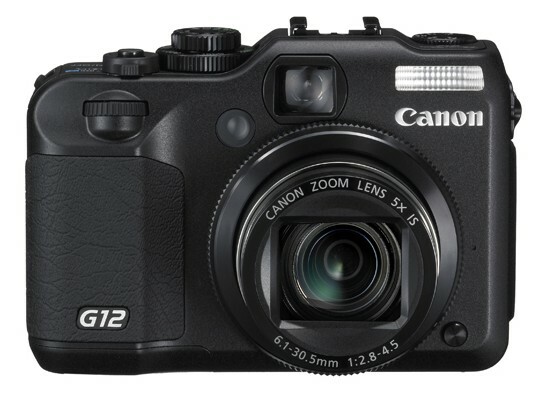 “Canon G11 Killer” may kill G11 and G12 both with its better lens (28-200mm vs. 28-140mm), better LCD screen (921K dots vs. 421K dots), and similar specs in other aspects. Posted in News, Photography Gadgets on September 14th, 2010. No Comments. Posted in Photography Gadgets on September 8th, 2010. No Comments. 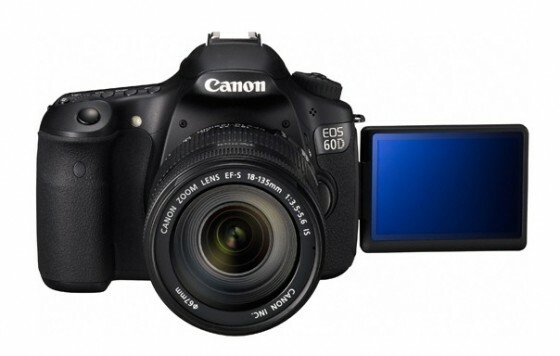 Check out the sample videos and images from official Canon Australia website. These were shot with beta model of the Canon EOS 60D. There are no download, no shooting information, no full size/RAW photos. Posted in Photography Gadgets on September 2nd, 2010. 1 Comment. Posted in Digital SLR Cameras, News on August 25th, 2010. No Comments. Posted in News, Photography Gadgets on August 24th, 2010. No Comments. Kodak today released the world’s thinnest 5x optical zoom digital camera that packs 14 megapixel, image stabilization, face recognition, HD video capture, 2.7in LCD screen, and a share button in a 0.6in (15.2mm) slim body. 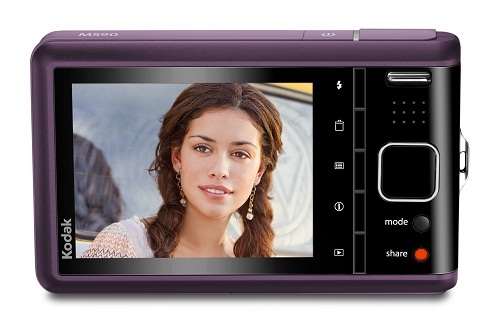 The Kodak M590 is designed specially for people who’d love to share their pictures on line. Facebook, KODAK Gallery, Flickr, Orkut, and Youtube are currently supported. Pictures can also be tagged to email and to send to any Kodak Pulse Digital Frame . After taking a photo or record a video, the user presses the share button on the back of the camera, then select which social networks to share them. User can also select email instead. When the camera is connected to a computer with Kodak’s Share button app already installed, the pictures and videos are automatically uploaded to the tagged social networks or emailed as they are transferred to the computer. Availability – Now shipping from Amazon (Purple , Blue , Red , Silver ). Posted in Photography Gadgets, Point & Shoot Cameras on August 23rd, 2010. No Comments. Posted in Photography Gadgets on August 21st, 2010. No Comments. Want to shoot pictures that pop? It is easy if you shoot 3D. 3D is getting more popular these days thanks to the movies such as Avatar and the 3D TV sets from name brand electronics manufacturers. While it is fun to watch 3D movies, it would be nicer to create 3D contents yourself. It just got a lot easier, with a 3D camera such as Fujifilm FinePix Real 3D W3. 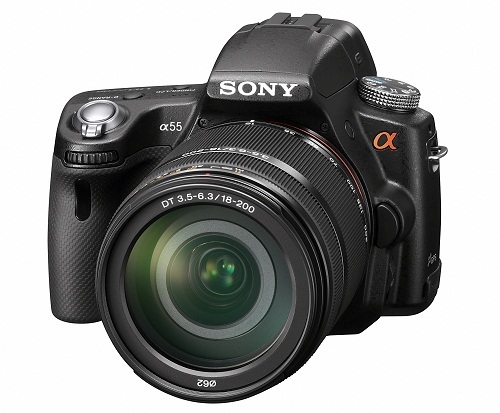 The camera is not yet available to the general public until the first week of September but well connected Wall Street Journal reporter Katherine Boehert was able to get hold of a unit and produced a review. According to the review, the “camera’s 3-D images and videos look incredible.” It is possible to view the 3D photos on the built-in 3.5″ LCD or on special (expensive) prints without using 3D glasses. Otherwise special 3D glasses and other hardwares are needed for TV and computer monitor viewing. Basically sharing 3D photos becomes very difficult due to the limited viewing options. The 2D feature of the Fujifilm FinePix Real 3D W3 allows independent zoom settings on the two lenses. Users can capture close-up and wide-angle images simultaneously. This sounds like a great feature especially for travel photography where you want to get a close-up photo of people while capturing the overall background for complete story telling. Fujifilm FinePix Real 3D W3 is available for pre-order from Amazon for $499.95. Posted in News, Photography Gadgets on August 18th, 2010. No Comments.